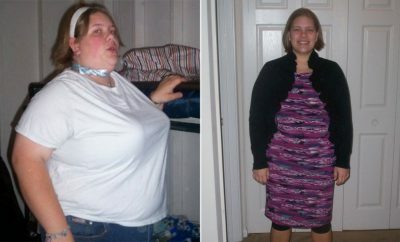 How I Gained It: I’d been overweight all of my life. I was an overweight child who grew up to become an overweight teen and eventually an overweight adult and constant yo-yo dieter. I had very bad eating habits. For example, breakfast was two cinnamon buns and a large coffee that I picked up on my way to work. By the time I arrived, I would be hungry again so I’d buy a pack of pop tarts and a soda from the vending machine. In fact, I think I probably spent just as much time at the vending machine as I did at my work station. I was a huge fast food junkie and I absolutely loved my late night bowl of Vanilla Bean Ice Cream with Oreo Cookies. This wasn’t a once-in-a-while treat, by the way; I ate this every single night. My philosophy to eating was simple — I ate whatever I wanted, whenever I wanted, without any thought as to the amount of calories, sugar, sodium or fiber that was in the food. 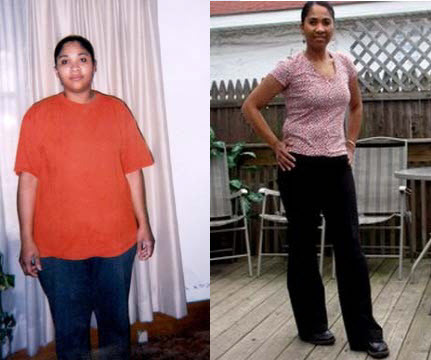 Breaking Point: In August of 2002, I was told that I had type 2 diabetes. Plus, I had lost several family members due to complication from diabetes, so this was very frightening for me. I am a single mother and so I decided to do whatever I could to be healthy and alive for my son. What made it even scarier is that I didn’t have any symptoms — it was discovered during a routine physical. My doctor noticed that the back of my neck was very dark, and she asked if my skin tone under my arm pits was dark as well. When I told her yes, she then asked if diabetes ran in my family. After that, she started running tests and I was diagnosed. From that point on, I decided that I was going to do whatever it took to take the weight off and keep it off. 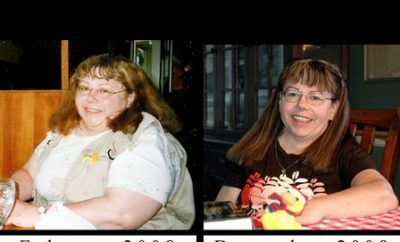 How I Lost It: Quite simply, I lost weight by following a 1,200-calorie-a-day diet that was recommended to me by a diabetic dietitian. I also drank lots of water — at least 64 ounces a day — and took up mall walking. Plus I made sure I never ate after 7 p.m. — which was very hard for me in the beginning. I used to eat all night long, and when I couldn’t snack, I would sometimes go to bed as early as 8 p.m. I had to learn a lot about food, and this was not easy. I spent countless hours in the grocery store reading nutrition labels, but it has paid off — now I know what to look for. Because I have digestive issues, fiber is important to me — I will not buy anything that doesn’t have fiber in it because to me that’s nothing but junk food. These days, a typical breakfast is oatmeal with cinnamon and almond milk; lunch is usually a sandwich packed with produce; and dinner is fish, beans, rice and a salad. I snack on fruit instead of things from the vending machine. I grew up in a very mentally abusive and unemotional household, and changing my eating habits also helped me realize that I was an emotional eater. I used food as to comfort me and help me deal with my low self-esteem, but that’s changed. I now have a totally different outlook of myself; I truly and totally love myself and that is something that I could never say before. In addition to walking, I also started doing yoga and Pilates and I fell in love with the classes so much that I’m considering becoming an instructor. I do an hour of yoga twice a week and Pilates once a week. I get my cardio workout from spin classes, which I do twice a week. All in all, I go to the gym five days a week. Looking back I sometimes wonder how it was even possible to eat as poorly as I used to. Eating healthy changed how I view food. Nowadays, I pretty much know all of the nutritional information on the foods that I eat, and I no longer eat what I want but what’s good for me. In fact, my son calls me “The Health Food Nut.” I am in a much better place in my mind, body and soul. 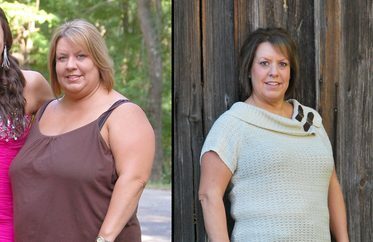 Angela has maintained her weight loss for eight years. 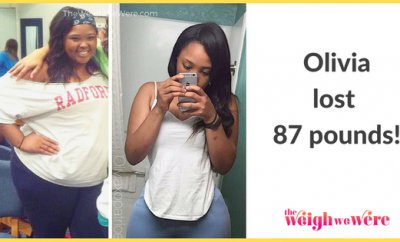 I Lost 87 Pounds: Olivia’s Journey To Losing 100 Pounds!